Christmas is a time of love, laughter, celebration and, very often, a good dose of overindulgence. 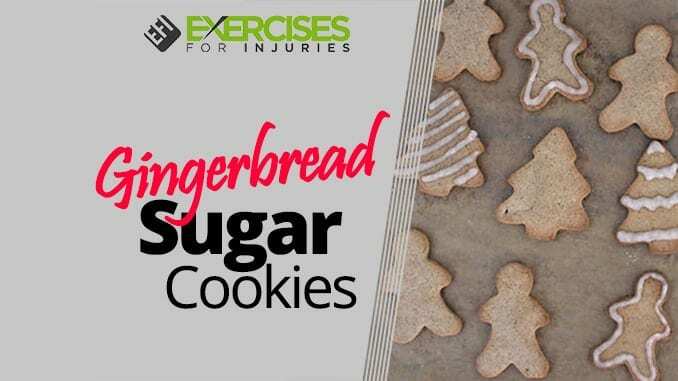 It can feel challenging, therefore, following a healthy or restricted diet during the holiday season, but with a little know-how, it is easy to recreate healthy versions of your most favorite festive treats. These gingerbread sugar cookies deliver all the classic flavors of Christmas, minus the typically inflammatory ingredients. Ideal for all members of the family, these soft, chewy cookies are sweet and festively spiced with a texture somewhere between cookie and traditional gingerbread. Not only a guilt-free treat, these gingerbread cookies also make wonderful healthy homemade Christmas gifts or even edible tree decorations. 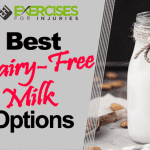 This recipe is anti-inflammatory, gluten-free, dairy-free and refined sugar-free. With all the classic flavors of a traditional gingerbread, these cookies taste just as divine as their sugar-laden counterparts. The festively spiced dough is simple to prepare and utilizes many ingredients found in your local grocery store. You will also need parchment paper, a rolling pin and shaped cookie cutters of your choice. For a little extra special decoration, the sugar-free royal icing adds an additional layer of Christmas indulgence. For this, you will need a food processor and a toothpick for small decorations or a spatula to coat the entire cookie. 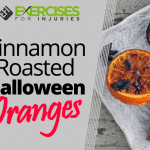 When diving into these tasty treats it may be hard to believe, but they actually provide a generous dose of anti-inflammatory, health-giving properties. Popular in the paleo community, coconut flour is a fantastic replacement for inflammatory grain-based flours and those avoiding nuts. Low in sugar but high in fiber and healthy fats, coconut flour is reported to stabilize blood sugar levels. Ground cinnamon not only provides an added natural sweetness but is also a powerful anti-inflammatory and is purported to stabilize blood sugars. Ground ginger is a potent anti-inflammatory and antioxidant and also aids in supporting healthy digestion. Cloves are also purported to support digestive health as well as boasting antibacterial and anti-inflammatory properties. 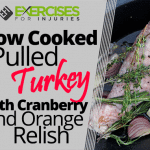 The fat used in this recipe is coconut oil, which provides an abundance of health-giving qualities including inflammation-reducing antioxidants and antimicrobial properties. 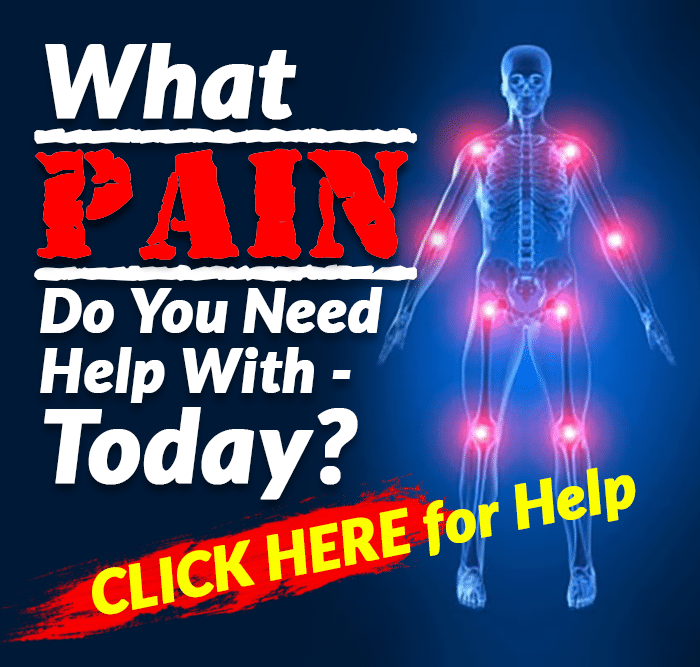 It also acts as a digestive aid and works to boost the metabolism. Finally, sugar is replaced in the cookies with xylitol. A great natural alternative to sugar, xylitol works perfectly as part of an anti-inflammatory diet when used in moderation. It is also candida-friendly. The key to making the perfect gingerbread cookie is to rest the dough before rolling. It is also important to allow the cookies to cool completely after baking — if you can resist eating them straight from the oven. This allows the cookies to firm up and be cool enough for the icing to set. The royal icing recipe makes enough to coat the cookies completely. Reduce the quantities for a more simple decoration. The icing itself sets quickly, so it is best to make this when you are ready to use it. A great tip for applying smaller decorative details is to use a toothpick. This recipe is ideal for creating classic gingerbread cookies. However, if you are feeling more adventurous, double the mixture and make your own gingerbread house. Preheat the oven to 320 degrees Fahrenheit and line a baking tray with parchment paper. 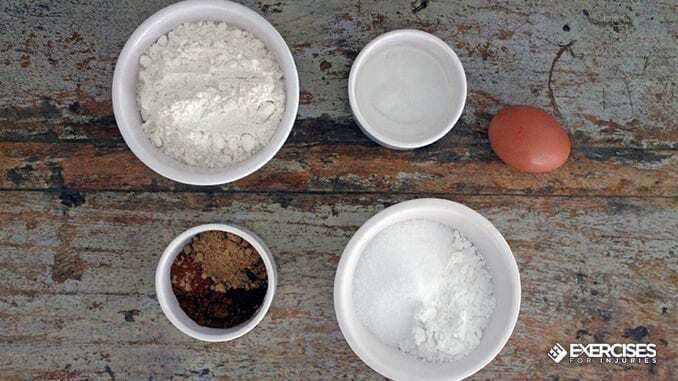 Add the coconut flour, arrowroot powder, xylitol, cinnamon, ginger, mace, cloves, salt and baking soda to a large mixing bowl and stir to combine. 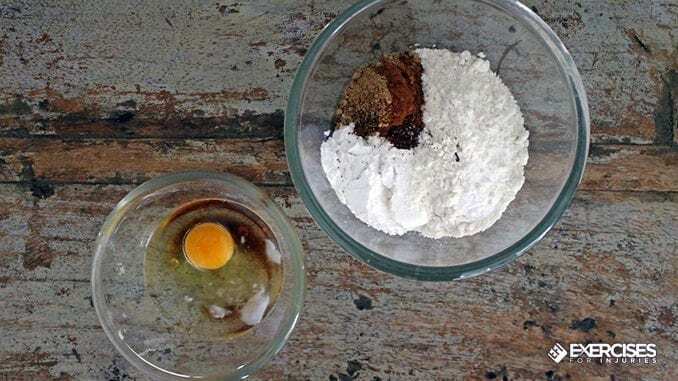 In a separate mixing bowl, add the egg, vanilla extract, coconut oil and water. Mix well. Pour the liquid into the dry ingredients and mix until combined thoroughly. Using your hands, bring the dough together and knead until you have a smooth dough ball. 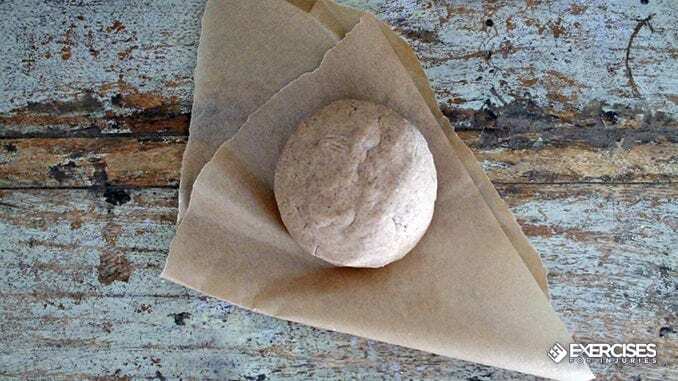 Wrap the dough in baking parchment and rest in the refrigerator for 20 minutes. While the dough is resting, make the royal icing. Add the xylitol and arrowroot powder to a food processor and blend on high for 1 to 2 minutes until you have a fine powdered sugar. Reserve in the blender. 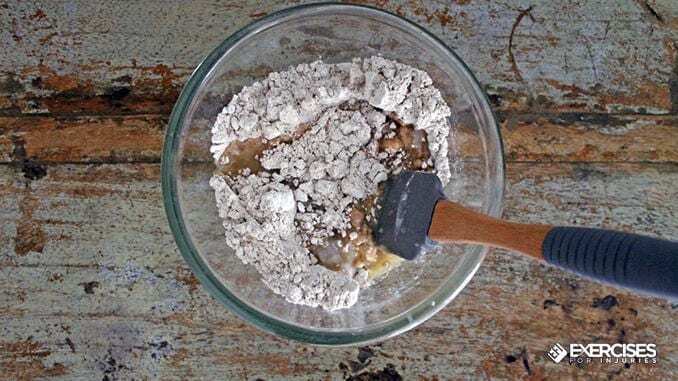 Remove the rested dough from the refrigerator and flour a clean worktop with a sprinkle of arrowroot powder. Roll the dough out onto the floured surface, about 3mm thick. Using cookie cutters, cut the shapes from your dough, and then transfer to a lined baking tray, leaving a little space between each cookie. Place in the oven to bake for 10 to 12 minutes until firm to touch and golden. While the cookies are baking, finish making the royal icing. With the powdered xylitol mixture already in the food processor, turn the blender to a medium setting and add 1 tablespoon of boiling water. Allow this to combine fully with the xylitol and scrape down the sides if necessary. Add another tablespoon of boiling water and continue to blend until you are left with a thick, smooth paste. Remove the cookies from the oven and leave to cool completely. 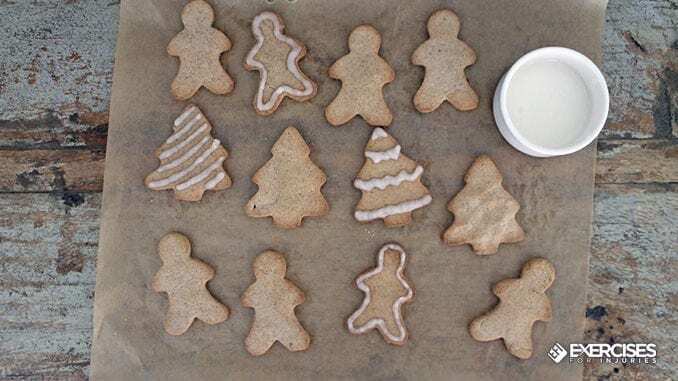 Once cool you can decorate with the royal icing using a toothpick for smaller decorations or an offset spatula to coat. Allow to set completely.